Packed with the21 most important employment documents, policies and management guides you need ready for you to use, including two legally compliant employment contracts for both Full Time and Part Time employees AND GDPR compliant Employee and Job Applicant Privacy Notices and Data Protection Policy. All the documents are templates for IMMEDIATE DOWNLOAD. This pack will save you over 70% on the single document prices. With over 30 essential employment documents, policies and management guides including two legally compliant employment contracts for both Full Time and Part Time employees AND GDPR compliant Employee and Job Applicant Privacy Notices and Data Protection Policy, all ready for you to use, this Staff Handbook and Employment Pack is perfect for SME businesses. All the documents are templates for IMMEDIATE DOWNLOAD. 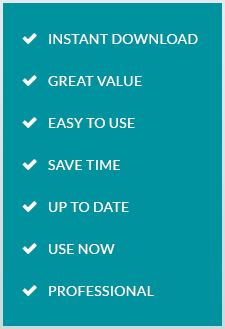 This Pack will save you over 70% compared with the single document price. 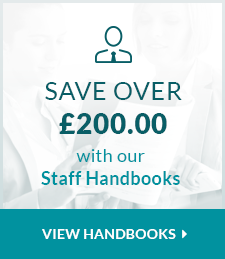 Packed with over 45 ready-to-use forms, policies and management guides including two legally compliant employment contracts for both Full Time and Part Time employees AND GDPR compliant Employee and Job Applicant Privacy Notices and Data Protection Policy our Standard Staff Handbook and Employment Pack is ideal for businesses of all sizes. All the documents are templates for IMMEDIATE DOWNLOAD. This pack will save you over 75% on the single document prices. The "Super" Staff Handbook and Employment Pack has been designed for the business that wants a comprehensive range of employment documents. It has 8 legally compliant Employment Contracts, a large number of ready-to-use forms and letters, a comprehensive range of policies and procedures including GDPR compliant Employee and Job Applicant Privacy Notices and Data Protection Policy and 6 management guides including to How to Discipline an Employee. A total of 72 Employment Documents at over 75% discount on the single document prices. Disciplining an Employee? The letters you need are here. This pack includes the letters you need from invitation to the disciplinary hearing to outcome from an appeal.